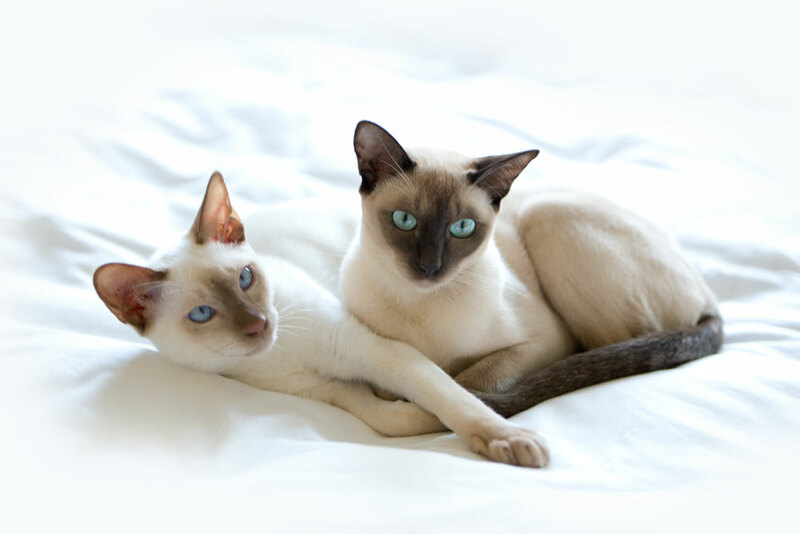 Anniesong Tonkinese is proud to introduce the colour Cinnamon and Fawn to Australian shores, and this has resulted from a 4-year plan to establish and develop the new colours within the Tonkinese breed. My interest in the colour of Cinnamon & Fawn initially stemmed from seeing a fawn Abyssinian at a cat show and after enquiring about the colour – I wondered how the colour Cinnamon would be expressed on a Tonkinese and decided to investigate if Cinnamon Tonkinese existed. A quick Google search revealed they did indeed exist and were accepted in some countries but not others, yet fortunately were well represented in New Zealand. 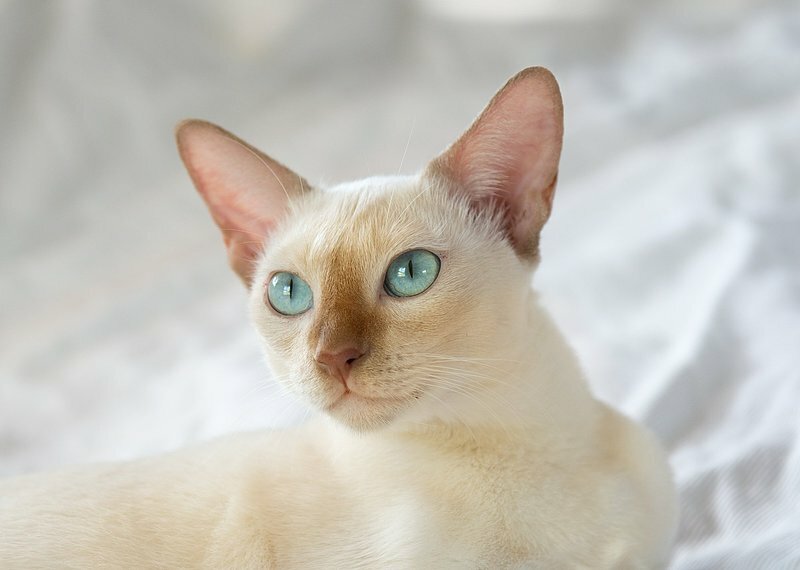 Research of the standards for Tonkinese in Australia revealed also that a provision for the colour already existed within the Australian standard – it had been included in the standard since 2007 but no-one had shown any knowledge of, or interest in developing the colour in Australia. The reference to Cinnamon was hard-to-find in the ACF standard on their website, but had not been updated in other breed standards. 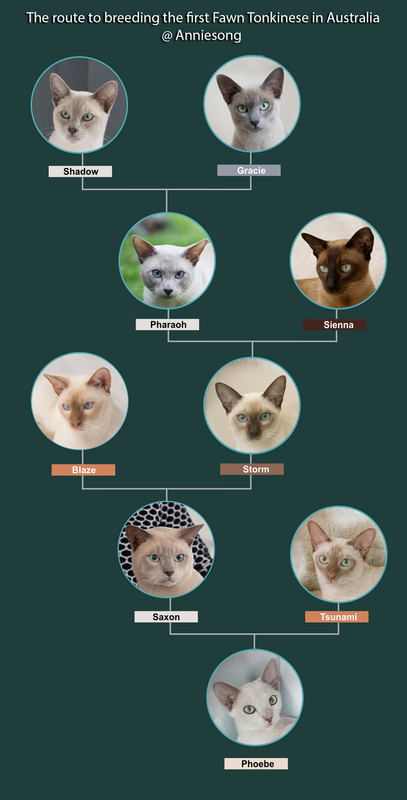 My research revealed some lovely Tonkinese on NZ websites, I investigated further as to who had the Cinnamon gene in their breed programs and who had 'type' that was compatible with my breed direction. One breeder stood out. It was then that I contacted Jenny Lovering of Angistri Tonkinese in NZ who had been breeding some beautiful Cinnamon Tonkinese for some time. Jenny has been amazingly helpful and has been a fantastic mentor in working with this new and exciting colour. 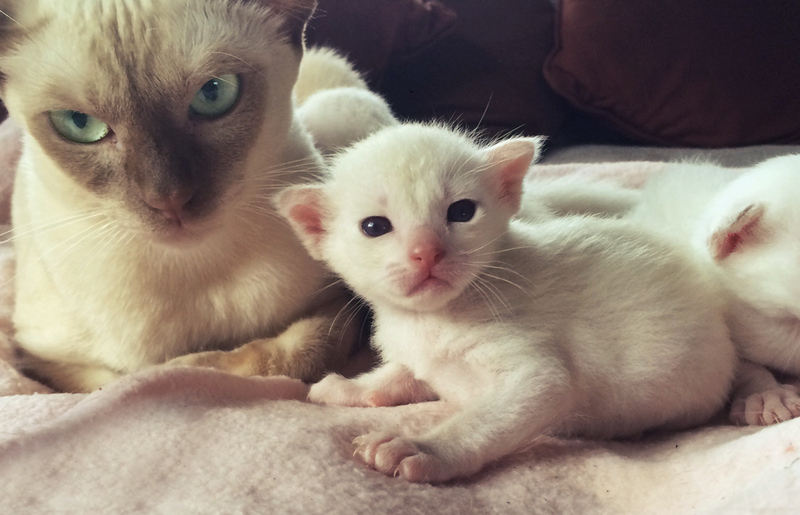 After forging a connection with Jenny, it was another 12 months before a suitable kitten was available and then began the excited wait for Blaze’s arrival in Australia as the first Cinnamon Tonkinese to grace our shores. Angistri Blaze of Anniesong arrives in Australia aged 5 months. 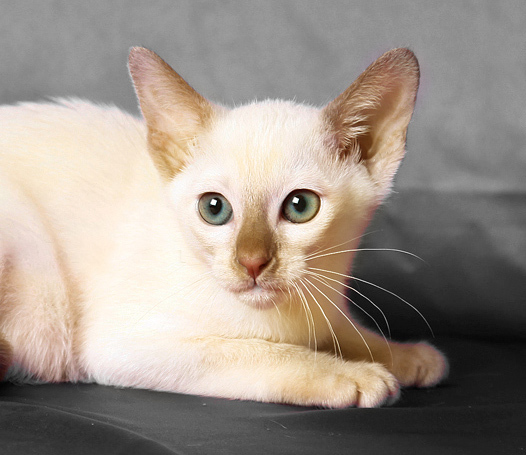 And as the first Cinnamon Tonkinese in Australia his arrival heralded an exciting new era for Anniesong and for the Tonkinese breed in Australia. It was an long-anticipated day for us, and it was exciting to finally meet the stunning young fella who arrived cool, calm and collected - a confident outgoing young boy who seemed so unfazed by his adventure, and whose personality was clearly a testament to the wonderful and loving manner in which Jenny Lovering home-raises her cats. After some momentary hissing and a flashing of dirty looks from the mob, Blaze was quickly accepted into the fold by the girls of the house - who must have thought him a bit of a novelty with his stunning white coat and striking blue eyes. Storm in particular seemed to treat Blaze as if he was a gift specially for her !!! .... even becoming possessive of him around the other girls. Their budding friendship would put them in good stead later as Storm was going to be his first mate. Blaze settled well into my home and as he was close to 5 months old when he arrived, he was still a kitten. Shortly before Blaze's arrival in Australia, I was introduced to Louise Warren at a show, due to our shared interest in developing the Cinnamon & Fawn colours within our respective breeds – Louise is a highly reputable Burmese breeder from 'Yahztak Burmese' who had introduced the first Cinnamon Burmese to Queensland, and was supported in her program by Bambi Edwards from Bajimbi Cats in Sydney who had developed the colour within the Burmese breed in Australia. Louise put me in touch with Bambi and who had previously attempted to breed a Cinnamon Burmese to a Siamese but that pregnancy had failed – Bambi was willing to repeat the mating in order that I could secure a second Cinnamon line, and so an excited wait began for news of the first Cinnamon babies. While awaiting for the Cinnamon news from Bajimbi, Blaze was making his debut on the show-bench. On the show-bench both Louise and I ran into a lot of obstacles and initially there was a total ban on entering both the Cinnamon Burmese and Tonkinese in all Queensland council shows, but we were able to display them at some council shows where at others they were banned entirely. We would frequently set up our display cages in the corner of the room. Louise and I jokingly referred to ourselves as the ‘Cinnamon Outcasts’ but persevered with exhibiting them to familiarize show-folk with the colour and to try to dispel some of the many misconceptions that surround the colour. Yet at each show we faced massive opposition and prejudice regarding the colour. Through ongoing discussion and negotiations with Cats Queensland and FCCQ we were then able to show (with some limitations) our respective Cinnamons and to have them eligible for challenges and titles. However although now on the show bench there was (and still is) a lot of misinformation and prejudice about the colour, both from breeders and judges alike. There are many unfounded fears around the introduction of the colour into both Burmese and Tonkinese programs. 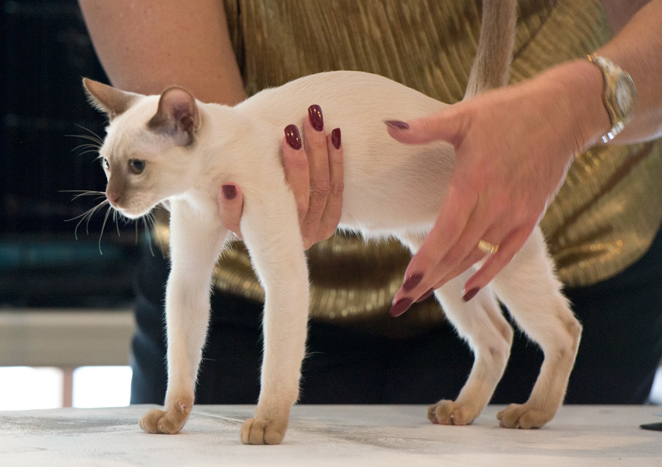 Another judge described the gene as non-existent and stated that all Cinnamons were just bad examples of Chocolate…..
A judge withheld challenges from a Cinnamon Burmese due to having ‘silver’ in the undercoat – (the colour develops very slowly in the Himalayan series expression, and is often quite light in its undercoat while still a kitten)…at this same show Margaret Harris from NZ was judging - she is very familiar with the colour in Siamese/Tonkinese/Burmese programs, and was able to clarify that the Cinnamon Burmese kitten in question was completely usual in it's colour expression for a kitten of that age. because the colour ‘made waves’ on the show bench, I was going to call my first Cinnamon girl ‘Tsunami’ ….. and that is how Tsunami was to get her name. At one particular show there were so many issues arising about the colour that I quipped to Louise that because the colour ‘made waves’ on the showbench, I was going to call my new kitten ‘Tsunami’ when she arrived ….. and that is how Tsunami was to get her name. QFA (Queensland Feline Association) took a particularly hard line with Cinnamon & Fawn in both the Burmese and Tonkinese breeds, and due to a distinct prejudice against the new colours by the then president of the organisation, both Cinnamon & Fawn Tonkinese and Burmese were singled out and banned from the showbench, and not just if they were exhibiting the colours, but also if any cat had these colours within their ancestry. 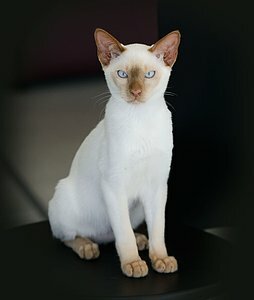 QFA also made the unprecedented move to demand that all Tonkinese and Burmese from New Zealand provide an 8 generation pedigree, a knee-jerk reaction to the introduction of these new colours, and was received as somewhat of an insult to the esteemed breeders and cat registration bodies of New Zealand. 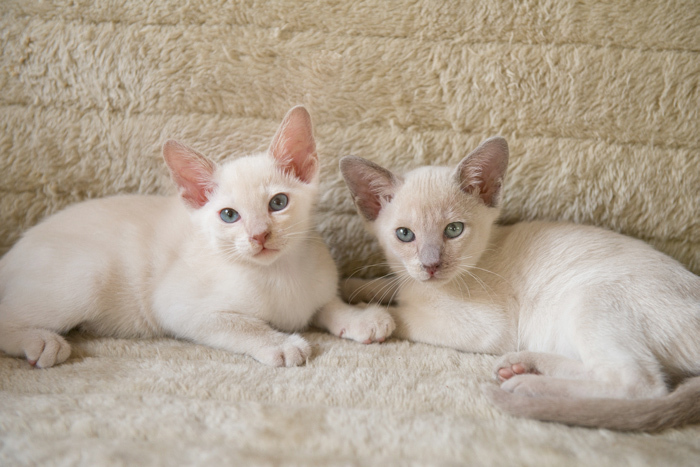 Moves are afoot to have this ruling overturned, in order that the breeds of Tonkinese and Burmese have identical registration requirements to other breeds, and rules surrounding their import are not discriminatory. 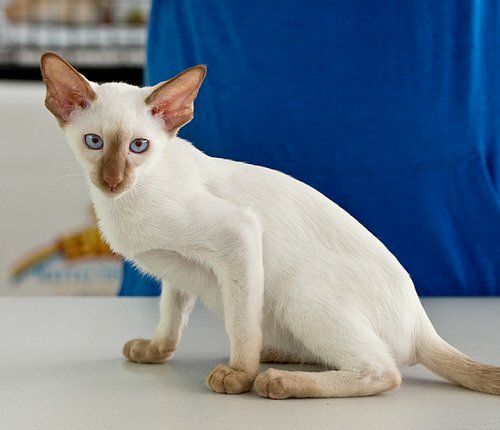 In my time as a breeder I have learn that it's sometimes a good idea to 'hold your card close to your chest', and so I was hesitant about revealing my plan to introduce these colours into Australia with other Tonkinese breeders due to potential opposition to their establishment. Thus I was discreet in my negotiations with all relevant parties when arranging to import Blaze, in order to ensure my plan would be unhindered by others. It seems that my instinct for discretion was warranted as the initial response from local tonk breeders was less than favourable – after ‘the word got out’ that I had imported the first Cinnamon, (a good 8 months after his arrival) some Queensland Tonkinese breeders ‘discussed the issue’ then informed me that I would not be able to breed, register or show Cinnamon or Fawn kittens as the colours were “not permitted in the standard” …. The breeders concerned were ill-informed, as had visited the standard on a website that had not been updated to include 2007 amendments and therefore were ignorant of the fact that the Australian breed standard did indeed allow for both Cinnamon and Fawn. By that stage we'd already fought numerous battles on the showbench in trying to gain acceptance, and had worked hard to change opinions about the colours. In contrast, some Interstate breeders were however quick to embrace the possibility of these new colours, and have also worked to gain greater acceptance of Cinnamon & Fawn. Heather Redmond (Tinkatonks) and Penny Van Kempen (Tonkadelic) have worked hard to establish the colours in their respective States and between them have created several new lines comprising Cinnamon, that has maassively improved the genetic diversity within the breed. 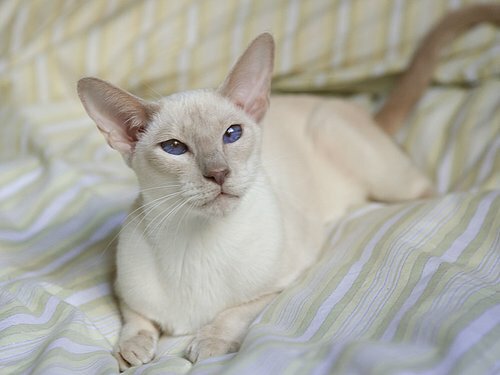 On the February 3 / 2013, Bajimbi Cinnamon Tsunami was born in Sydney and alongside her brother these were to be the first Cinnamon Tonkinese born in Australia and as the only female, Tsunami became the first female Cinnamon Tonkinese, and the first Cinnamon breeding girl for Anniesong. Her brother Bajimbi Cinnamon Royale went on to live in Western Australia with Penny Van Kempen of Tonkadelic to spearhead her Cinnamon & Fawn Program. Meanwhile back at Anniesong, we were eagerly anticipating the birth of our first Cinnamon carriers as Blaze had been mated to both Storm and Sienna. As the gene for Cinnamon is recessive to both Seal and Chocolate, it is a very difficult gene to establish and requires input from several gene pools comprising Cinnamon to develop the colour effectively. Thus a Cinnamon cat bred to any cat that is not carrying the gene can never produce cinnamon offspring regardless of the colour of the other parent, but will produce Cinnamon carriers in all the progeny of that mating. 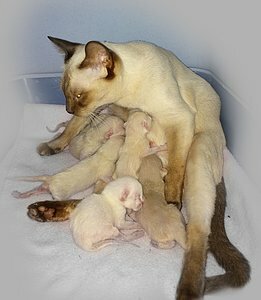 On March 6 / 2013, Anniesong Storm gave birth to her first litter comprising two healthy kittens - which were to be the first cinnamon-carriers in Australia. Anniesong Saxon & Anniesong Jenny-Love, grew rapidly and this being Storm's first litter she was none-the-less a great mum to her kittens. Saxon was a Lilac-mink and at only 5 weeks we could see great potential in this young boy, and thus he was retained as a Cinnamon carrier stud boy. Saxon was shown for the first time at the age of 10 weeks and did remarkably well and received great praise from the judges both for type and temperament. Two weeks after the birth of Saxon, Sienna gave birth to 6 healthy kittens, comprising 4 boys and 2 girls - and this was the second litter that Blaze had fathered, none of these kittens were retained for breeding as would be too closely related to Saxon to justify. Blaze & Saxon who at 10.5 weeks did extremely well at his first ever show. Sharing his confident and outgoing nature with all that he met - Saxon demonstrated a natural affinity for showing. On May 19 / 2013, I flew to Sydney to collect the new addition to Anniesong's 'Team Cinnamon', and Tsunami, despite her initial shyness settled pretty quickly into her new abode. She bonded immediately with Saxon and they became good friends, and age-wise they were only a month apart. She debuted on the showbench in Queensland only two weeks later and was calm and relaxed, perhaps due to the fact she had been shown once by her breeder; Bambi Edwards in Sydney. Tsunami continued to be shown throughout the show-year and enjoyed moderate success on the bench. At 10 months old Tsunami came into season for the 3rd time and had been on heat twice while still under the age of 9 months (minimum age to breed). Generally I prefer to wait until a girl is 12 months to breed, but if in season early, there are potentially greater risks in not breeding, so a decision was made to pair her with Blaze to breed the first Anniesong Cinnamons. From this first mating Tsunami did become pregnant, however 4 weeks into the pregnancy, sadly she miscarried the litter during the night, and this was to disrupt her fertility and breeding-cycle for many months. 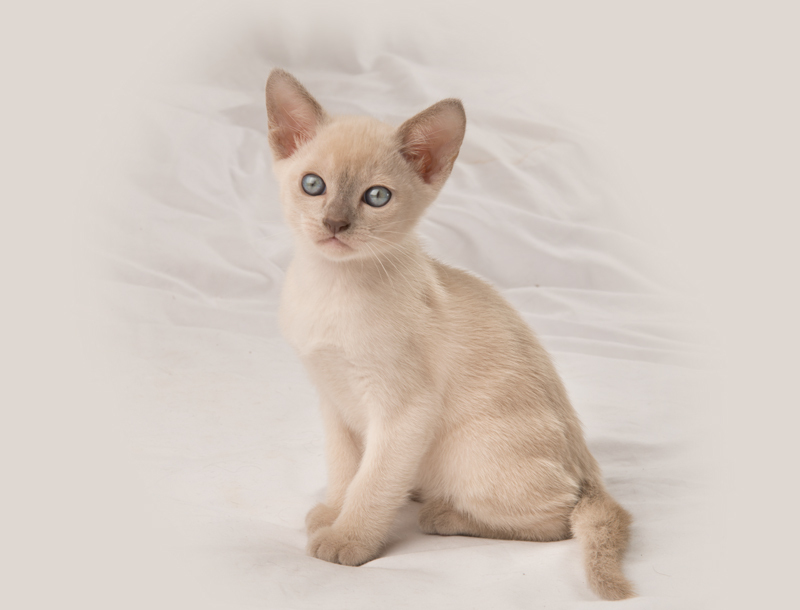 While we waited for many months for Tsunami to come back into breeding condition, we were thrilled to introduce a second Cinnamon Tonkinese girl from New Zealand. The arrival of Angistri Leia Joy was a moment of pure joy - Of course I'd seen pictures of Leia that her breeder Jenny Lovering had sent me, but none prepared me for the physical beauty of this stunning cat that peered out from the carrier when collecting her from the airport. 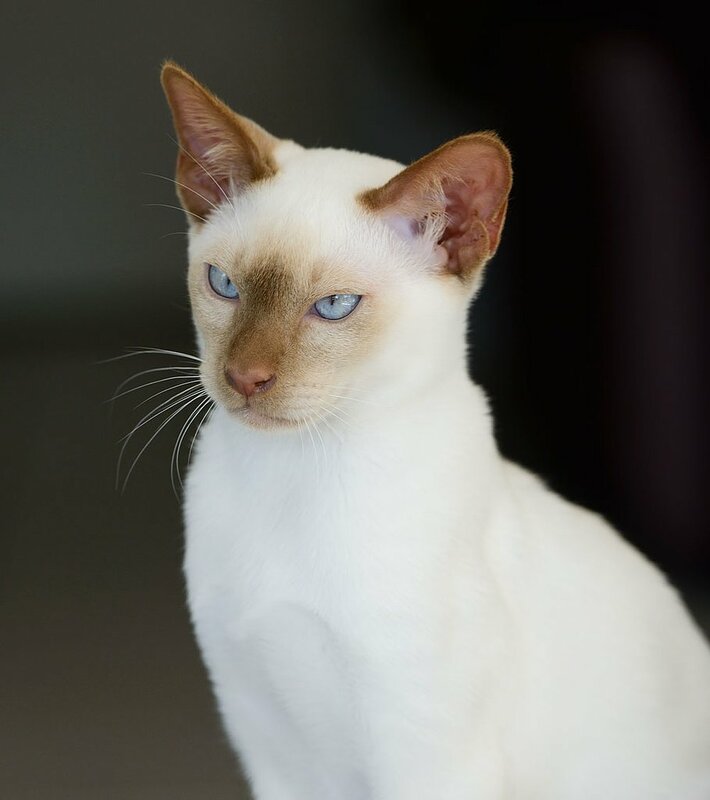 Just like Blaze before her, Leia was confident, calm and outgoing, displaying the lovely temperament of a beautifully home-raised Tonkinese. We are very grateful to Jenny Lovering for allowing this amazing girl to grace our shores, and to be a pivotal part of establishing the Cinnamon and Fawn colours in Australia. Meanwhile at Anniesong, and 7 months after her previous season, Tsunami's breeding cycle suddenly and mysteriously returned and by this stage Anniesong Saxon was mature and in breeding condition - Tsunami and Saxon were thus paired and with baited breath we kept all fingers and toes crossed that this pregnancy would go to term and result in kittens. This mating could possibly produce Chocolate, Lilac, Cinnamon & Fawn kittens, but there was the possibility of producing no Cinnamons or Fawns in the mix, compared to a mating to Blaze that could only produce Cinnamon & Fawn. It's all about Fawn ! 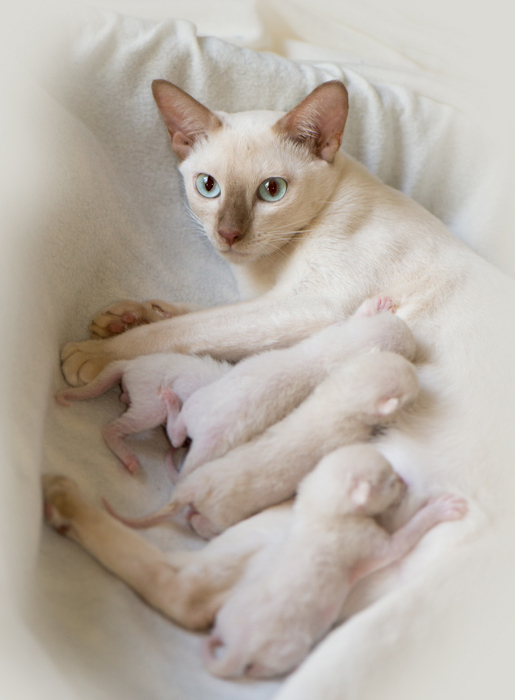 On August 25 / 2014, Tsunami birthed 6 healthy kittens, (4 boys & 2 girls) and was a devoted mum so her brood grew fast. It was not immediately possible to determine the colour of the kittens. The colours of Cinnamon & Fawn being lighter and warmer than the expression of Chocolate and Lilac, take a long time to develop and for a few weeks I thought we were looking at a whole lot of lilacs in the litter. At 4 weeks of age, I was able to definitively identify 1 x Chocolate, 2 x Lilacs and 3 of the kittens as Fawn (2 boys & 1 girl). We were thrilled to breed the first Fawn Tonkinese in Australia, particularly as it was Fawn colour that had initially sparked my interest in introducing and developing these new colours in Australia. We welcomed Floyd, Talon & Phoebe to Anniesong. Floyd and Phoebe have both stayed at Anniesong transforming 'Team-Cinnamon' into 'Team-Cinnamon and Fawn'. The colours Cinnamon and Fawn are both subtle and slow to develop, and are difficult to identify at birth and for the first few weeks as their colour slowly comes through. At 9 weeks old the difference between lilac and fawn is quite pronounced, fawn being brighter and warmer than the tone of lilac. 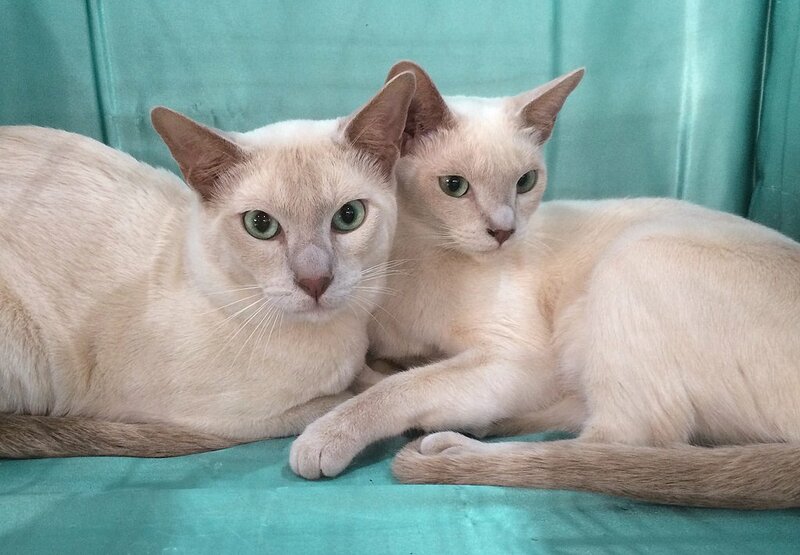 Floyd along with Phoebe, stayed on at Anniesong while their brother Anniesong Archer was flown to New Zealand with Anniesong Stella to join Jenny's Angistri Tonkinese breed program. With 'Floyd' & 'Phoebe' as the first Fawn Tonkinese bred in Australia here at Anniesong, we are very excited about how they have matured. In 2015 we have taken a break from showing due to my ill-health that has characterised the year, however we did manage to attend and enter 3 x FCCQ shows here in Brisbane. At time of publishing both Floyd and Phoebe have been shown twice during the year, and at each show received great feedback from the judges as to their type and conformation. 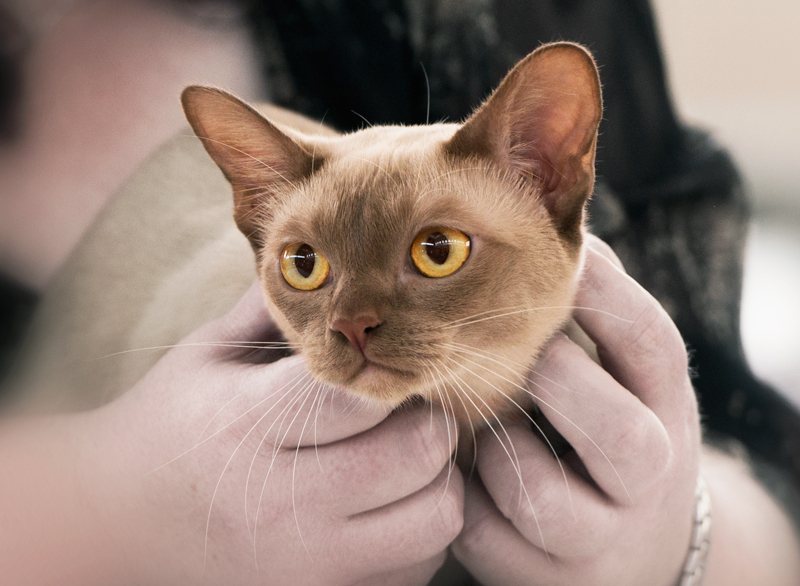 Floyd at his very first showing, won the coveted 'Supreme Tonkinese' in the specialty ring at the FCCQ Tonkinese show, and was 'Reserve Best Tonkinese' in one other ring. At the Golden Anniversary Show Floyd also won Best Tonkinese in one ring, and placed as reserve twice. February 6 / 2015, Tsunami gave birth to her second litter of 4 healthy kittens, (3 girls & 1 boy) this time she was bred to Blaze and so could only produce Cinnamon or Fawn babies. The litter produced 2 x Cinnamon Mink girls, a Fawn-Mink girl and a Fawn-Point boy. These were to be the first Cinnamon and Fawn kittens offered as pets in Australia. 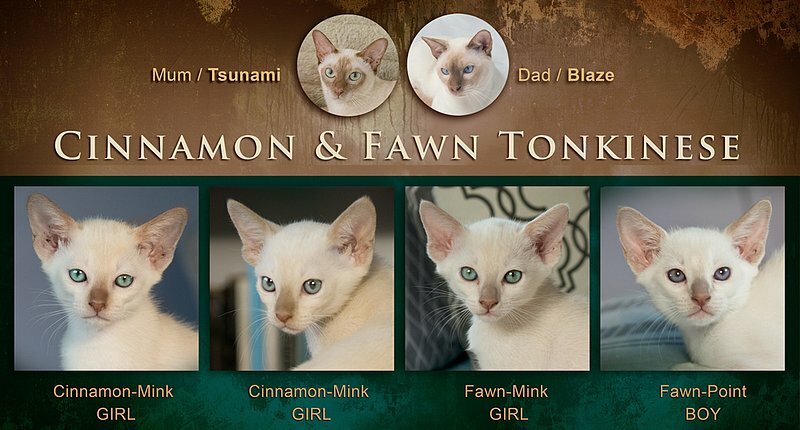 As we had retained all three of the Fawn kittens born to Tsunami's first litter, the kittens from Tsunami & Blaze's litter represented the first time that Cinnamon & Fawn Tonkinese were offered as pets within Australia. The 3 girls and 1 boy all had lovely interactive natures that are only seen in house-raised kittens and all are bringing their new owners joy. March 6 / 2015, On her own first birthday, Leia gave birth to 4 healthy kittens, and as she had not been very large during pregnancy so I was surprised to see as many as 4. As a new mum Leia was amazingly calm - her first kitten was a breach which made the situation more nerve-wracking for me. As often a kitten in the breach position (tail first) is a little more difficult to birth and can require veterinary intervention. There was an anxious hour and a half spent watching a tail emerge only to repeatedly disappear inside again, before Leia was able finally to give birth to the kitten. It was to be another hour before kitten number 2 was born. Kitten number 3 was born soon after and at that stage I thought she was finished - so I went to get her something to eat and when I returned there was kitten number 4, whose birth I therefore missed. There were 3 girls and 1 boy. Once again it was initially difficult to determine colours and patterns and although with the standard colours by 2 weeks old it is usually possible to clearly identify colour and pattern, with Cinnamons and Fawns I now know just how slowly the colour develops and the futility of trying to determine colours before they are 3-4 weeks old. Fathered by Anniesong Saxon, the litter could produce Cinnamon or Chocolate kittens and at 4 weeks old we were able to identify the kittens as 2 x Chocolate-Mink girls, 1 x Cinnamon-Mink girl and a Cinnamon-Point boy. At 3 weeks old the colours or Chocolate and Cinnamon are beginning to diverge and the warmer and brighter points of the Cinnamon begin to stand out from those of Chocolate. Until then, it remailns very difficult to determine the colours and patterns when there are both chocolate and cinnamon kittens possible within a litter. Anniesong Amba was showing great potential at just 3 weeks and so it was decided to retain her to further to expand Anniesong's Cinnamon Tonkinese program. From a young age we could see the potential of Amba, we could also determine that her personality was equally as stunning as her mum's. Inheriting the best of both her parents' natures, Amba is a gentle and hugely affectionate girl. With a Lilac-Mink tonk as her father, Amba is also carrying the 'dilute' gene and thus can produce Fawn kittens unlike Mum Leia who does not carry dilute. At time of publishing, Amba has yet to breed and is enjoying her first full season on the showbench. We will be excited to breed her later in 2016, Amba's first mating will most likely be to Anniesong Jagger and will produce Gen-5 babies, in Seal, Chocolate, Blue or Lilac. April 2015 - Our newest introduced recruit to Team-Cinnamon & Fawn, came in the form of 'Malu-Wildsong' or 'Twigs' / 'Twiggi' as she is affectionately known. 'Twigs' is a stunning Fawn-Point Siamese, lovingly bred by Lynda Roper of Malu Siamese, who has the most loving and eccentric nature and has provided a great insight into how the intermediate Tonkinese gets it's unique character. 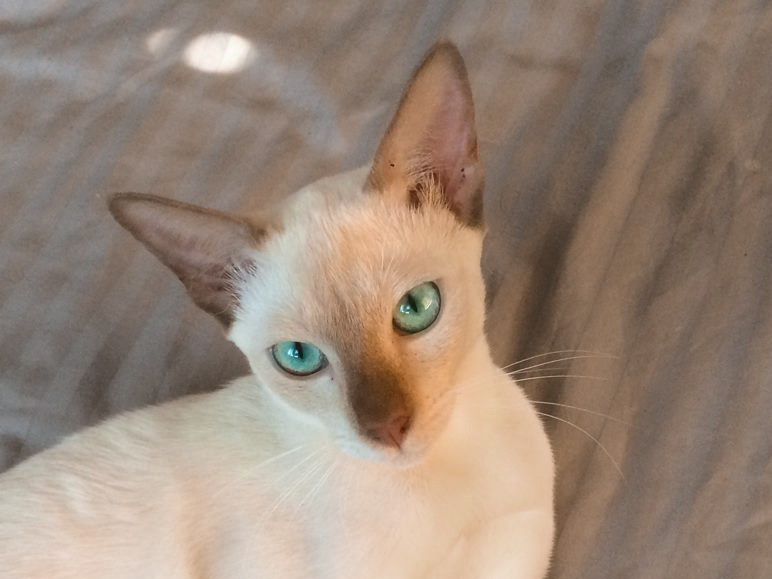 We waited 3 years for a suitable kitten to be available from Lynda and am thrilled to finally own a 'Malu Siamese'. We are excited that now over 12 months of age, Twigs is soon to be bred with a Brown Burmese, carrying Cinnamon so can possibly produce Seal, Blue, Cinnamon and Fawn which will be 1st. 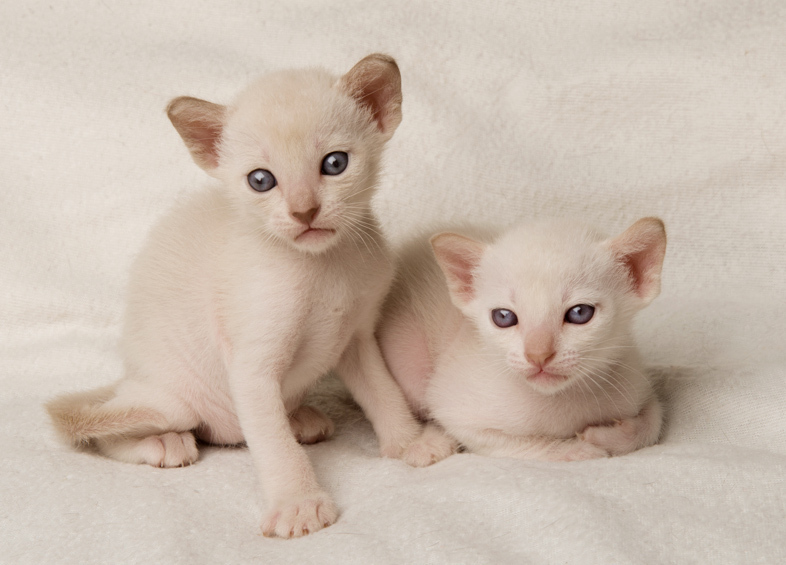 generation Tonkinese. The 'Family tree' illustrated (right) shows the genetic route taken to produce the first Fawn Tonkinese in Australia. Of which Phoebe and her 2 brothers Floyd & Talon, have the honour of being the first of their kind to be born & bred in the country. This 'family tree' also traces back to the matings that produced Anniesong Storm who was pivotal to incorporating the new colours within Australian lines. Our first foray into the Cinnamon gene pool came about by mating Angistri Blaze of Anniesong to Anniesong Storm which produced the Stud boy 'Saxon' who is a Lilac-Mink, carrying the Cinnamon/Fawn gene. Saxon was later bred to Bajimbi Cinnamon Tsunami, a Cinnamon-Mink, that produced the first 3 Fawns, Floyd & Phoebe being a Fawn-Mink and Talon being a Fawn-Point. Much has happened with Cinnamon & Fawn Tonkinese since we fulfilled our vision to establish the colours here in Australia, and with local Queensland breeders since jumping on the band-wagon, other imports have occurred - a couple more Cinnamon cats have been imported from New Zealand, and some from the US. The use of US imports have no relevance to, nor a place in the intermediate breed program that we subscribe to, yet we are working alongside some great Interstate breeders to develop and consolidate these new colours further with an ever-widening intermediate gene pool. 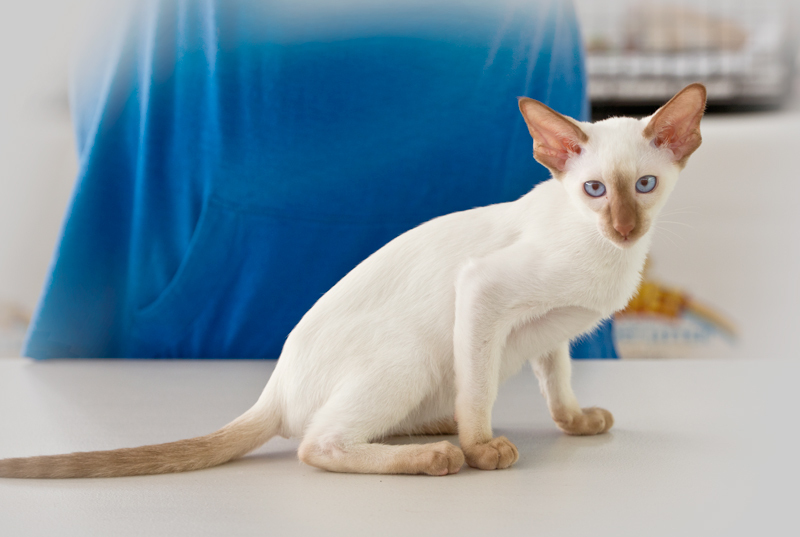 Interstate breeders in particular, have been highly active in creating valuable new lines comprising Cinnamon, using either Cinnamon Siamese or Burmese to establish new and unrelated lines. This will prove to be of great benefit to genetic diversity within the breed in Australia. Our original Cinnamon Boy Blaze has now been retired along with his son Saxon, and we have new rising stars on the showbench that are carrying the Cinnamon gene forward. Thus we have high hopes for Anniesong Byron Boy and his sister Anniesong Bailey as they enjoy grteat success in the 2016 show year ..... watch this space !